If this isn’t obvious to you, then you need to read this post. If it is obvious to you, you should marvel at the number of Christians, especially our Evangelical bretheren, who believe that repentance is not required for forgiveness. Faith traditions like the Roman and Orthodox Catholics, understand that to forgive an unrepentant sinner is devoid of grace. The whole meaning of biblical forgiveness rests on making the sinner whole again. It is manifestly not about making the forgiver feel good about himself. Scripture has a whole lot to say on this subject. I would begin by citing what Jesus understood to be His mission as the Messiah (Luke 24:45-47), namely, to preach repentance for the forgiveness of sins to all the nations of the world. In Mark 4:12 Jesus explains why He teaches in parables. He uses parables, He tells His disciples, because otherwise the audience would not understand the requirement for repentance and would therefore “not turn back and be forgiven”. The phrase “turn back” is translated from the Greek word “aphesis” or the Hebrew word “teshuva“. In this verse, Mark teaches that Jesus viewed repentance as mandatory. Then we have the Lukan model of forgiveness (Luke 13:3,5) as told in the context of some workmen who were accidentally killed in a construction accident. Their death wasn’t a “punishment” as virtually all pagan religions of that day taught. Rather, death only comes to those who do not repent. In other words, the construction accident was just that – an accident. In 17:3-4 Luke writes that we incur an obligation to forgive an offense when the offender repents. Forgiveness and repentance are two sides of the same coin – you cannot have one without the other. What about God? What does the Bible teach about God’s forgiveness? God’s requirement for forgiveness is just as simple. We are to forgive as God forgives (Eph 4:32, Col 3:13) and since God requires repentance (Mark 1:15, Acts 3:19) who are we to change the rules. If God requires repentance so should we. Finally, there’s Jesus’ example: while on the cross He was in the company of two thieves, of which one was penitent. The repentant thief went with Jesus. Not so the other. Why, if forgiveness is free and repentance not required, did Jesus withhold His company in paradise from the unrepentant thief? In today’s world, the word forgiveness has come to mean some vague, pleasant, guilt-free inner state – either psychological or emotional. In biblical Greek, the language of the New Testament, the English word “forgiveness” is concrete and specific. Translated from the Greek word “aphesis” (itself a translation of the Hebrew “Teshuva”) it means expatiation of sin, “sending sin away“, “freeing onself from sin” or “releasing or remission from sin”. It is the forgiver (the offended party) that sends away, remits, cancels, or releases the sin. This is what the NT writers (esp. Paul) had in mind when referring to being a captive of (or slave to) sin (See especially the Greek of Matt 26:28), i.e., the pouring out of Christ’s blood sends away (aphesis) the sin. Yes, Dorothy, forgiveness is NOT free. 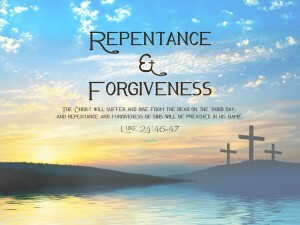 To be forgiven requires one to repent and, though I didn’t discuss it, one’s repentance must be sincere and heartfelt. Also, you may want to read Sacrifice, Atonement, and Grace – Deeper Understanding. 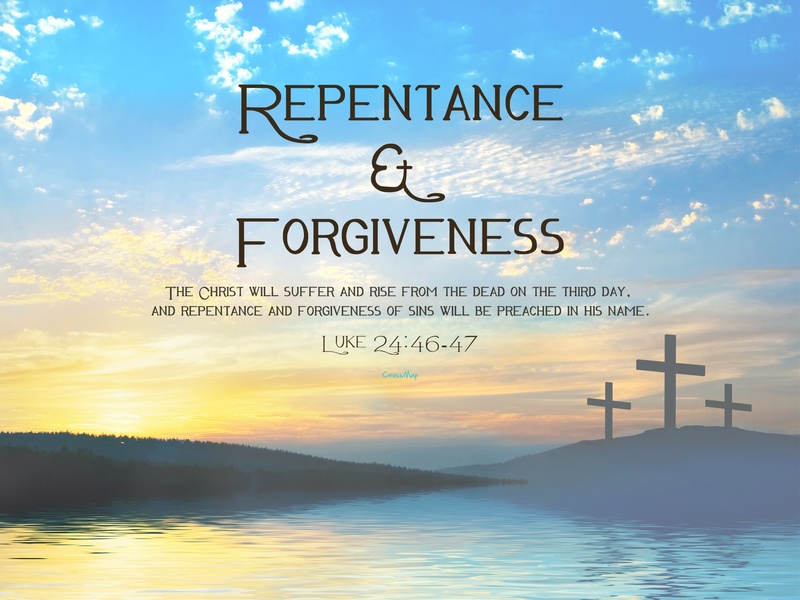 This entry was posted in Atonement, Catholic, Christian, Forgiveness, Repentence. Bookmark the permalink.